Watson Porter, from Nova Scotia enlisted as a surgeon in the Union Army and was assigned to the Third U.S. Colored Troops. 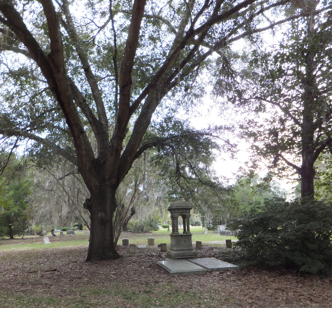 He and his wife, Olivia, are most remembered for purchasing land in SW Gainesville. This section was originally platted in the late 19th century as O.A. Porter’s Addition to Gainesville. This land was then resold and financed by the Porters to African-American individuals and families who did not have ready access to land or financing. This neighborhood, now called Porters Quarters, still exists in Gainesville today. The Porters are regularly recognized during Black History Month for their contribution to the Porters Quarters Community. Porters Quarters is the also site of Shady Grove Primitive Baptist Church, which was placed on the National Register of Historic Places in 2005.